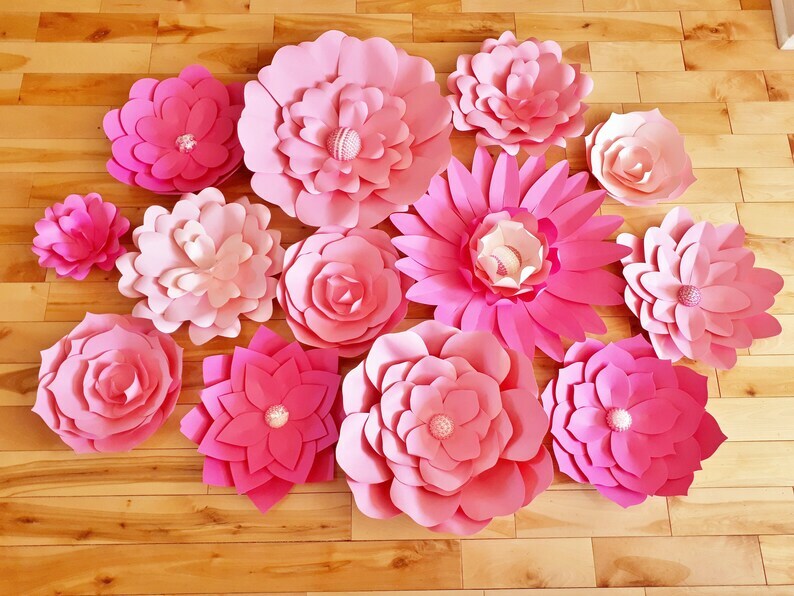 A Paper Flower Set of 14. Perfect as a wedding backdrop, photo booth wall, baby nursery decor or as wall decor for your baby and/or bridal shower. Flowers come completed (no assembly required). Offering a varied look with flowers ranging in sizes of 6 inches to 20 inches in varied shades of Pink with paper and jewel centres and Green Paper Leaves. Huge Inventory Blowout! Get 50% off all our ready made, ready to ship items. All items are lightly used and sold as is!